The Study houses our major products and publications for sale. All downloads are copyrighted by Soltys, Inc. Please read our Copyright Notice before making any purchase. 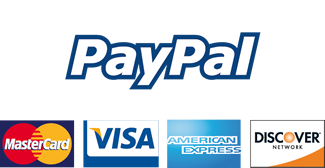 We have chosen to use a Paypal/e-Junkie platform because of its ease of use, its secure gateway for online transactions, the variety of payment options (VISA, Mastercard, AMEX, etc.) and because it does not require you, our customers, to create an account. The system provides Buy It Now buttons for single, immediate purchase and Add to Cart buttons for those interested in buying multiple items. While you're shopping, you may click the "View Cart" button to examine the items currently in your cart for purchase. Description: Pat Soltys wrote the Decision Maker’s Guide as a result of working with non-technical executives across many industries who were struggling with concepts, terms, budgets, features, functionality and process when selecting core business solutions. The guide provides information and tools that will be helpful in making selections of software, partners and full solutions. The Decision Maker’s Guide included a number of worksheets, an samples that are found in the tools in editable Excel spreadsheet and Word documents. Includes the Features and Functions Worksheet, ROI Worksheet, Budget Worksheet, Example One Page RFI, Questions for Build IT Solution Providers and Twenty Questions + One. Description: Key Performance Indicators (KPI’s) are powerful tools to drive business, make decisions and manage people. Full discussion of indicators with wizard to provide benchmarks and ratios. Sample data worksheet shows actual company numbers. Included is an editable worksheet template. Description: All 2011 blog posts including individual posts and complete series fully indexed in a PDF format. Includes: Communications, Content & Commerce; Freedom; The Social Media Reprimand; Bricks, Sticks, and Clicks; The Brand Change Series; The Operations & Opportunity Series; The Business Planning Series; The Growth Series; The Infrastructure Series; The Strategic Initiatives Series. Description: The components that make a business plan more than a once a year effort in writing are brought to life. Risk assessment, business case tools and vignettes related to plans and companies are a part of this series. Fully indexed. Description: From BHAG’s (Big Hairy Audacious Goals) to exit strategies, look at major initiatives and gain insight and ideas for execution. Fully indexed.